Fire in a gas station -Coolidge and West Jefferson - Power lines and pole down on building. 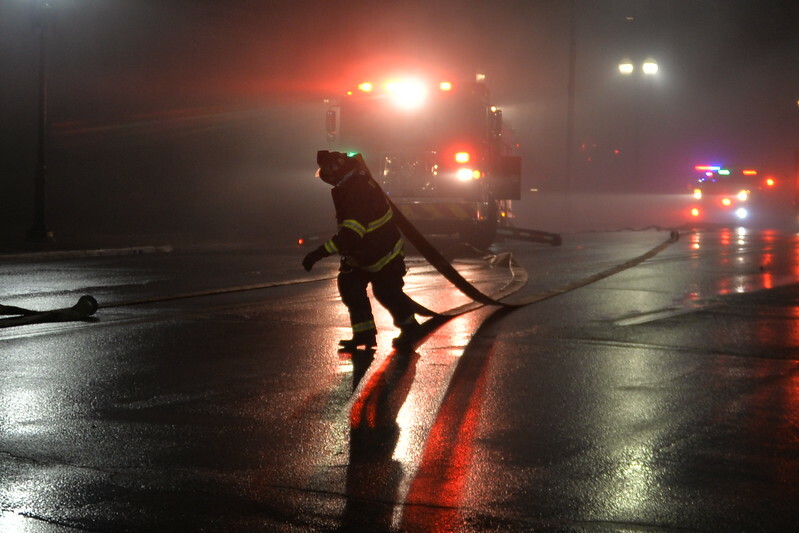 River Rouge (fire across street from station) and Ecorse FD responded with two engines. Mutual aid - Dearborn and Wyandotte. Detroit fire also arrived. Detroit FD services not needed. Interior attacks mad, Crews evacuated and took defensive posture. The fire was fought in Rain/snow and wind. River Rouge Engine 251, Utility, Ecorse Engine 351, Wyandotte Engine 753, C1,. Dearborn - Engine 5, Rescues 5,1. Quint 3,. (Batt Chief) F2.